Does Free Spirit have a mascot? Absolutely! 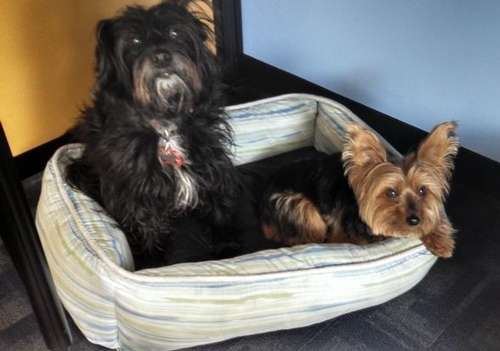 Violet, a spirited Yorkie, and Twiggy, a gentle terrier mix, are our resident mischief makers. On any given day, Free Spirit can have three or four dogs roaming the office. If only they knew how to file! For more pics of our office dogs, be sure to check out this Pinterest board.